Amanda Jane Jones has created a fun printable Valentine that you can customize with just about any message. These colorful Valentine Scrabble Grams will be fun for any and all of your valentines. My kids will love trying to decipher the hidden messages. 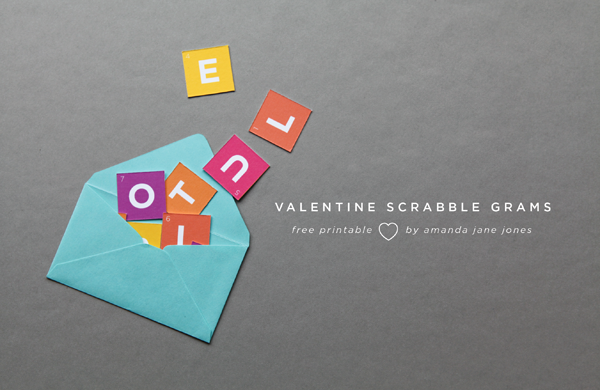 Amanda shared her free printable Scrabble Valentine over at Oh Happy Day. Such a cute idea...and not only for Valentine's!